David Bowie is definitely one of the most original and unique characters in the world of Rock and Roll. His career has spanned decades and he has been an innovator and a leader in all of them. David is considered by many to be one of the all time greatest pop musicians. His talents are not limited to the stage. David is also an accomplished actor, producer, and arranger. David Bowie was born on the 8th of January 1947 in London, England. His birth name was David Robert Jones. 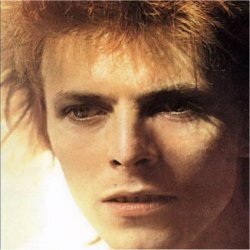 To avoid being confused with Davy Jones, he changed his name to David Bowie in 1966. David Bowie can play a large assortment of different instruments. He plays, keyboards, saxophone, drums, guitar, and numerous others.